Regular printers were forgotten like old news ever since the 3D printer came out and outshone them all. The reason is quite simple; 3D printers took things to the next level. 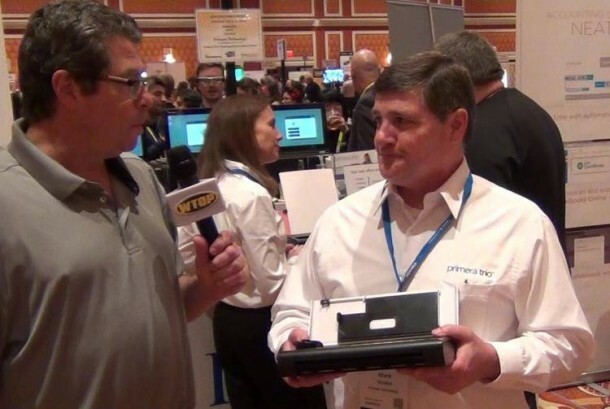 Nonetheless Primera Technology has launched the world’s smallest and lightest printer at CES 2015 that qualifies as an all-in-one printer. The Primera Trio has a weight of 1.2 Kg and the firm compares it with the size of a hardcover book. The printer is capable of running on an optional battery pack. The printer is basically an inkjet type printer and can work with color or monochrome cartridges. 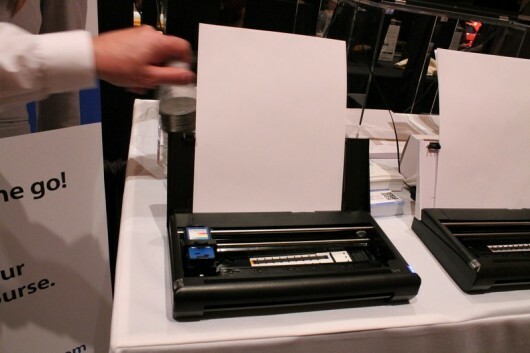 It is capable of printing on paper of A4 size with 4,800 dpi. The primary 10-sheet feeder is used for the A4 paper while when printing postcards, photos or invitations; the secondary rear feed can be used that measures 4 x 6 inches. The printer itself is 11.4 x 1.8 x 6.5 inches. Though some of you might argue that there are smaller printers available, this is the world’s smallest ‘all-in-one’ printer. The Trio is capable of scanning in monochrome or full color at 600 x 600 dpi. The printer also contains a print head that can be rotated into the ‘up’ position when needed and folds back into storage when not being used, thus preventing cartridge ink from leaking or drying out. 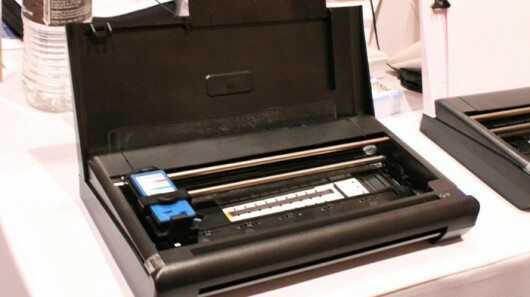 Primera will be launching the printer with a number of accessories, for instance, an optional battery pack that will allow users to print 100 pages on a single charge. 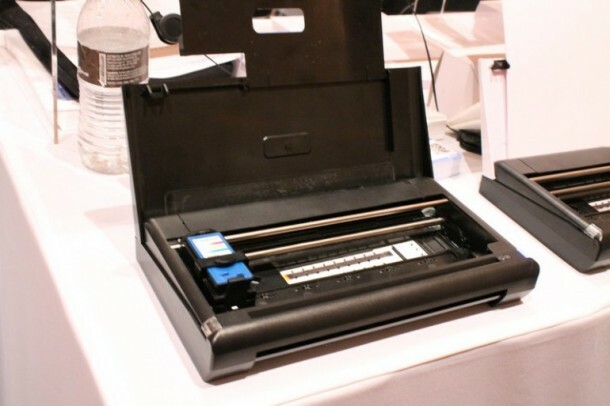 The company is also including an option for a bracket to mount the printer in vehicles and uses a 12-Volt USB power cord to carry out printing tasks in a vehicle. It can be customized by getting optional top covers that come in white, pink, silver and blue. Primera Trio has been priced at $399.95 and can be pre-ordered while the shipping is scheduled for February. Don’t forget to watch the video below!